Whitewater rafting on the Kicking Horse River near Banff, Alberta in Canada is an exciting and fun outdoor adventure. Located near Banff National Park, one of Canada’s most popular travel areas and Banff National Forest, a scenic view is not hard to find. Numerous rapids such as, “Roller Coaster”, “Last Waltz”, “Goat Rapid” and “Twin Peaks” fill the Kicking Horse river canyon that are certain to leave you bursting with laughter and whooping with delight. The most famous rapids in the area, the mile-long “Portage” and “Shotgun” rapids are full of continuous, fast-paced whitewater. 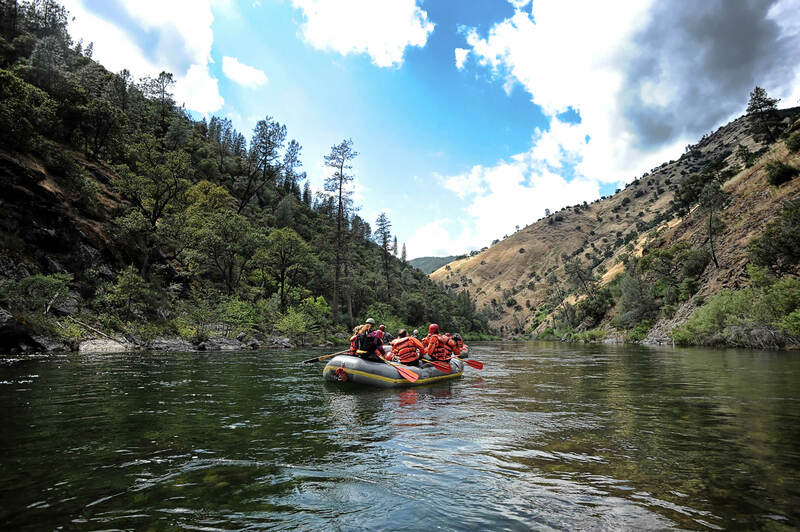 This section of class IV to IV+ rafting is a true heart racing adventure. The varied course of this river has wide, calm class II sections perfect for viewing wildlife such as marmot, black bears, elk, bighorn sheep, and mountain bluebirds. Even more unusual critters like the northern Pika (a smaller relative of the rabbit with long ears, many whiskers and no tail) and the American Dipper (the only truely aquatic songbird) can be seen when there is time to put down the paddle. If you’re lucky you might catch a glimpse of the elusive wolverine. In fast paced class IV sections, the canyon narrows, the whitewater churns and the river is surrounded by sculpted corridors and steep shale side walls. Once the snow melts in the Canadian Rockies, continuous flows provide solid whitewater through the summer months.